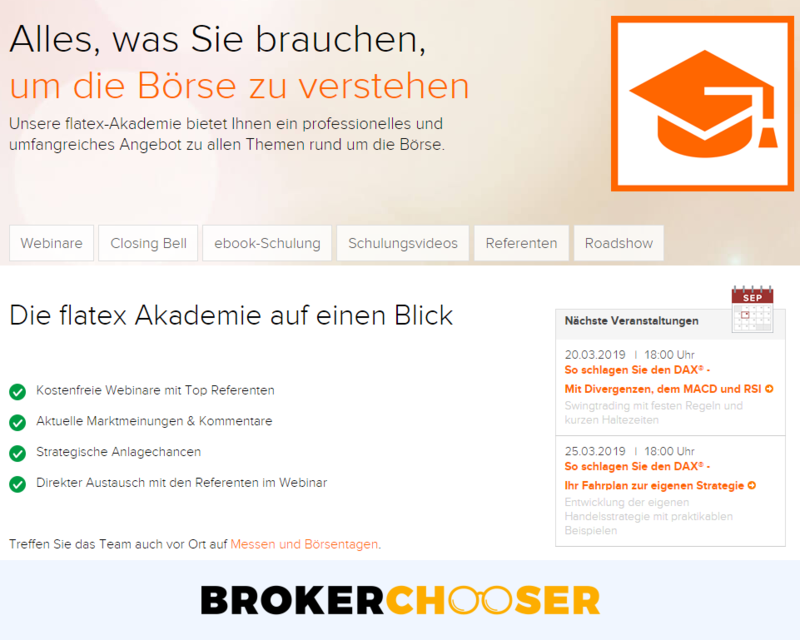 Flatex is a German stockbroker established in 1999 and regulated by the Federal Financial Supervisory Authority (BaFin). 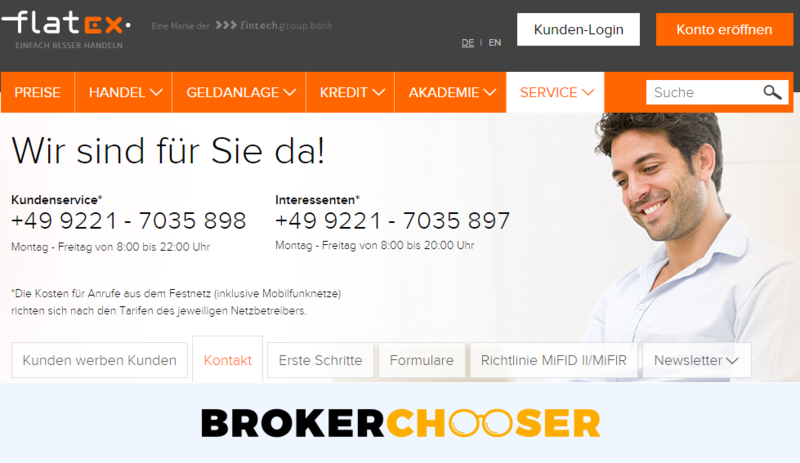 It is listed on the Xetra stock exchange and has a bank parent, the Fintech Group Bank AG. Flatex is considered safe because it has a long track record, is listed on stock exchange, has a banking background, discloses its financials, and is regulated by top-tier regulator. Flatex offers cheap ETF and mutual fund trading, especially if you invest in ETF or fund saving plans. It holds a banking license, is listed on stocks exchanges and has a strong parent company. It also has a lot of high-quality educational tools. The account opening for non-Germans is very complicated and takes several days. You can use only bank transfer for deposit and withdrawal. The majority of the services are only in German. Flatex has average trading fees and low non-trading fees. We compare Flatex fees with its peers, Comdirect and DEGIRO. Flatex trading fees are average. The trading fees for German stocks and ETFs, funds, bonds, and CFDs are low. On the other hand, it has very high US stock and forex trading fees. In this review, we tested Flatex's standard pricing. Flatex has average stock trading fees. It has low fees for German stocks and ETFs, but high fees for the US stock markets. You have to pay flat fees for the stock trading, which is quite unusual, since most of the European brokers apply a trading volume based pricing for stocks. The flat fee plan is great if you trade higher volumes. If you trade with ETF saving plans, the fee is €1.9 per trade or completely free for 350 selected ETFs. Flatex has high forex fees if you compare it with the best forex brokers. These high fees are mainly due to the high financing rates. Flatex does not charge any commission for forex trading. The fees are incorporated into the spread and the financing rate. Flatex fund fees are low. It can even compete with discount brokers' fees, like DEGIRO's. Flatex applies a €5.9 flat fee per trade for funds. If you trade with fund saving plans, the fee is €1.9 per trade. The bond fees are low. Similarly to fund fees, the bond fees are even lower than discount brokers', like DEGIRO. Flatex bond fees are calculated as a €5.9 flat fee per trade. Flatex has low CFD trading fees. 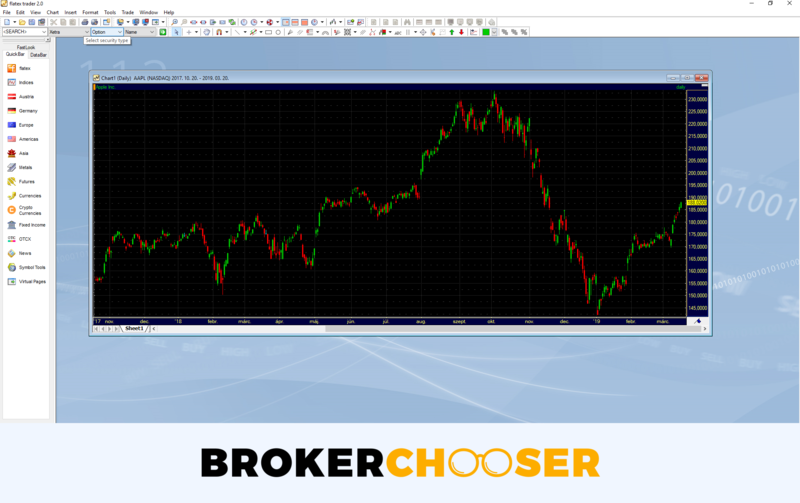 We compared the commissions of stock CFDs. The stock CFD fees are almost the same as at Comdirect. Flatex stock CFD fees are calculated as the 0.05% of the trade value and there is a €5 minimum amount per order. Flatex financing rates are high. Flatex charges a 3.5% premium over the benchmark rate for stock CFD trading. For example, for Apple CFD is 3.5% + USD LIBOR rate. The financing rate for forex is calculated from the swap points. The value of the swap points changes every day. We used the values as of 05.03.2019. Flatex non-trading fees are low. There is no inactivity, custody, account, and withdrawal fees. This is great. On the other hand, if you trade with US penny stocks, you have to calculate with a €30 per month custody fee. The account opening is easy and digital for German clients, but complicated and long for other citizens. We do not recommend to open an account if you do not speak German since the account opening, web trading platform, telephone customer service, and a lot of other services are in German. This is very interesting since you can reach their website also in English. It is not full clear for this why do they maintain an English website as well. You can open different accounts: individual, joint, and corporate accounts. When you open an account at Flatex, you will have a cash and a securities account by default. You have to activate the forex or CFD account for trading with forex or CFDs. You can open your account conveniently via a video identification if you are from Germany. In this case the account opening is fully digital for you. Account opening for other citizens is very complicated. As being non-German citizens, it took more than 2 weeks for us to open an account and the process was very complicated. After the online registration, we had to send our notarized documents via the post. After the verification, Flatex sends by mail your login credentials and a so-called iTANCard. The iTANCard is a secuirty card and contains codes which are needed when you want to execute a transaction or you have forgotten your login credentials. Flatex offers free deposit and withdrawal. On the other hand, you can transfer money only by bank transfer and this takes a longer time. At Flatex, you can hold your accounts only in EUR. This might be expensive since if you deposit from a non-EUR bank account or trade in other currencies you will be charged with a conversion fee. Flatex deposit fees are free of charge. You can only deposit via a bank transfer. The bank transfer is not instant, it takes more business days. Flatex withdrawal fees are free of charge. You can only withdraw money to accounts on your name. We tested the bank transfer and it took 3 business days to get back our money. Flatex web trading platform is user-friendly and looks nice. You can also use several order types. 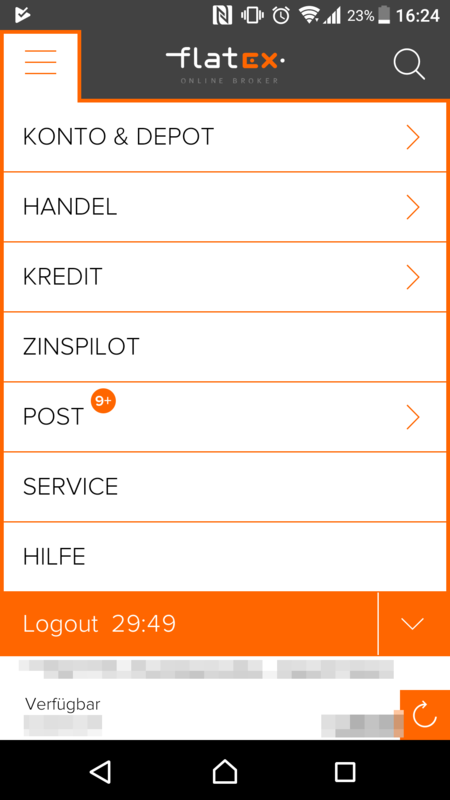 On the flip side, it is not customizable, there are no price alerts, and it is available only in German. We tested the WebFiliale, Flatex's own web trading platform. The WebFiliale is available only in German. Flatex's web trading platform is rather a simple one, but it is great for execution. At the login you can use only one-step login. On the other hand, if you want to execute a transaction, you have to confirm that by typing a special code from your personal iTAN Card. This definitely increases your security. When you type the product name, a relevant product list appears. 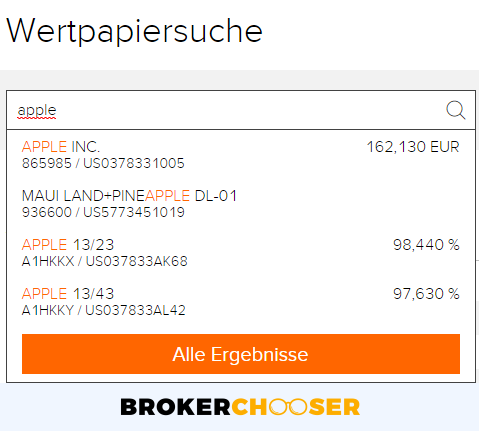 If you click on the "Alle Egebnisse", you will have a product list separated by asset classes, like shares or bonds. Furthermore, you can also check the stock exchange and the currency of the searched products. It is very great feature that you can choose select the stock exchange you place an order. 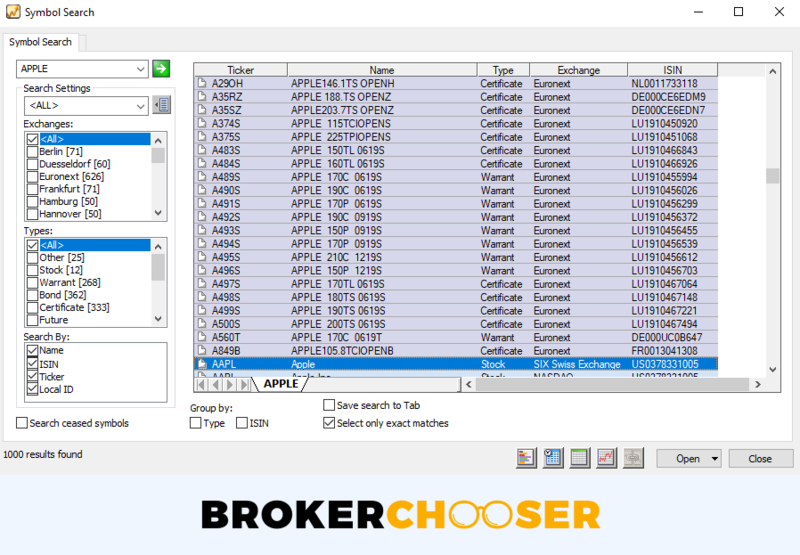 This is available only at a couple of brokers, like Comdirect or Interactive Brokers. You cannot set up alerts and notification. Flatex has clear portfolio report. When you go to the "Steuerbuchungen", you can see the profit/loss and the tax you have to pay. On the other hand, you cannot see how much fees you paid for your tardes. This seriously decreases the transparency of the charged fees. Flatex mobile platform is the same in design and functionalities as the web trading platform. Similarly to the web trading platform, we tested the mobile version of WebFiliale. Flatex's mobile trading platform is available both on iOS and Android. We tested it on Android. Flatex offers a desktop trading platform with advanced features and many customizable options. However, the platform is not user-friendly and is recommended only for advanced trader. We tested the Flatex Trader 2.0. It is available only in English and you will be charged a €15 monthly fee if you want to use it. 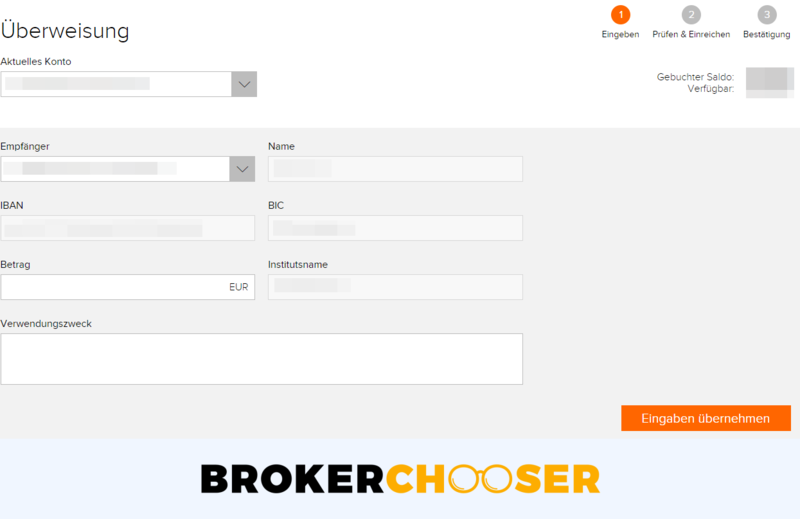 This is quite unusual, since no other broker charges a fee for a trading platform. Flatex desktop trading platform is not user-friendly and its design feels outdated. It is the same as the the web trading platform. The search functions are mid-range. It is great that you can add the asset type, exchange, name etc. However, it does not show the most relevant results on the top. E.g. if you search for Apple, the Swiss stock exchange appears first and not the US NASDAQ. You can use the same order types and order terms as at the web trading platform. In contrast with the web trading platform, you can set up price alerts and get notifications onthe Flatex desktop trading platform. 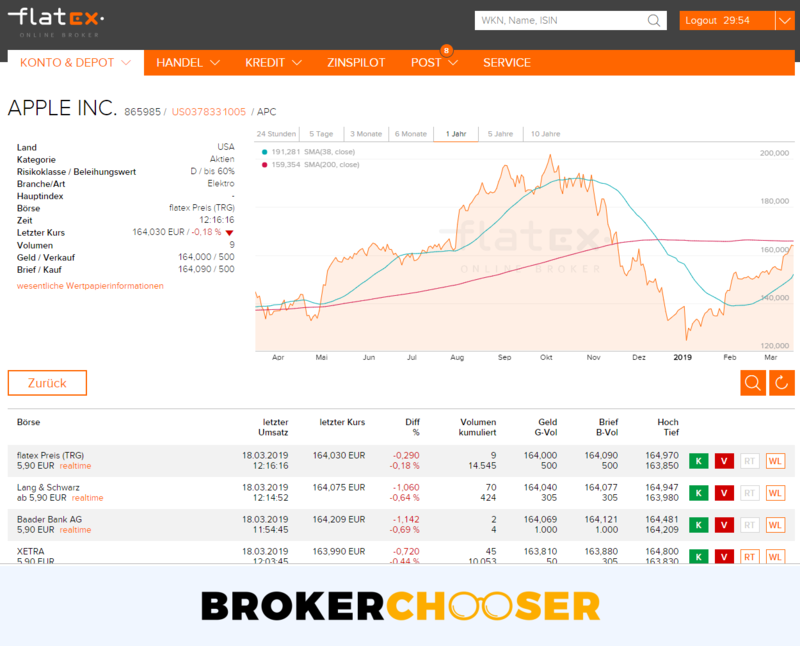 The Flatex desktop trading platform misses to have clear portfolio and fee reports. Flatex gives you access to almost all asset classes, only options, futures, and cryptos are missing. Within the available asset classes, Flatex focuses mainly on EU markets. Flatex has a good market and product coverage. You can trade with almost all asset classes. Flatex offers way more mutual funds than Comdirect and DEGIRO, however, lags behind in other asset classes. It also offers a social trading service through Wikifolio. Flatex stock and ETF offer are ok. It is in line with Comdirect but is worst than DEGIRO. You will get access to the German, US, Canadian, French, Swiss, and some other EU stock exchanges. You can trade with penny stocks as well, but keep in mind that for the US penny stocks an additional fee is applied. You can also invest into hundreds of ETF saving plans. This means that you invest a fixed amount in ETFs regularly and Flatex charges small or even zero fees. The forex offering is great. You can trade as many currency pair as at Comdirect. DEGIRO does not provide forex trading. Flatex mutual fund offer is exceptionally wide compared to Comdirect and DEGIRO. Within this great fund offer, there are also fund saving plans. It is the same as the ETF saving plan, i.e. you can invest a fixed amount in funds regularly and Flatex charges favorable fees. There is no information about how many bonds you can trade with, but the product list should be great since you can trade with both goverment and corporate bonds. Within the government bonds, you can even invest in the bonds of smaller countries, like Paraguay or Hungary. CFDs are complex instruments and come with a high risk of losing money rapidly due to leverage. 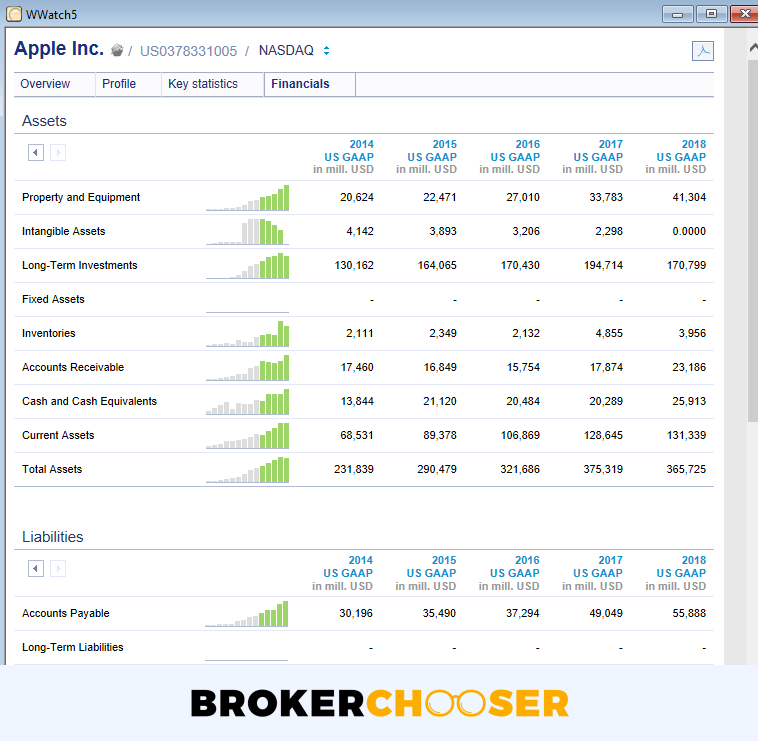 79.51% of retail investor accounts lose money when trading with this provider. You should consider whether you understand how CFDs work and whether you can afford to take the high risk of losing your money. At Flatex, you can trade with stock index CFDs, stock CFDs, and commodity CFDs. The number of CFDs is in line with Comdirect's offer and is greater than DEGIRO's offer. You can also trade with some other leveraged assets, like warrants or certificates. You can have an ok research at Flatex. The charting tools are advanced and fundamental data is also provided. On the other hand, the research tools are not user-friendly and there are no analyst recommendations. The research functions are available at Flatex desktop trading platform, the Flatex Trader 2.0. This desktop trading platform has a monthly fee, so basically there are no research tools for free. Flatex does not provide any analyst recommendations. Flatex offers fundamental data for equities. For example, you can check the income statement for 4 years, the main shareholders, and the valuation ratios as well. It is not intuitive how you can find the fundamental data. To reach this, you should search with the "Symbol search" function and after finding your equity, right click and open the "Profile". Flatex has an advanced charting with almost endless features. 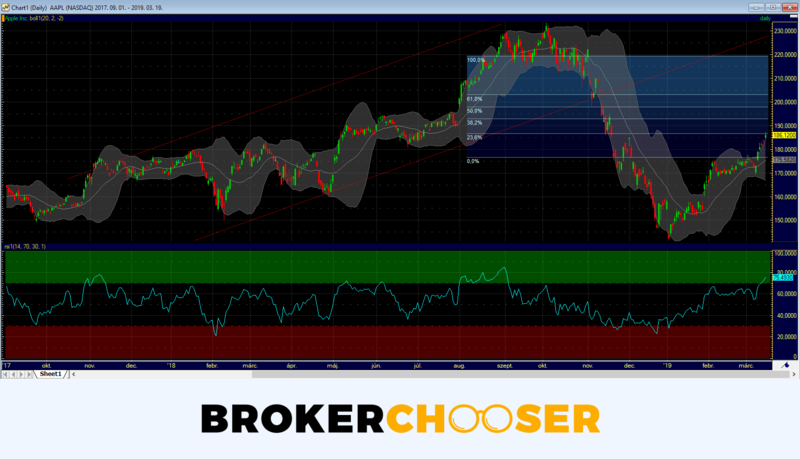 There are more than 200 technical indicators and editor tools. You can easily edit and save the charts, which is a great function. The news feed has low quality. It has a outdated design which makes the news hardly readable. The news are feeded both in German and English languages, which makes quite unconvenient to pick the right one for you. Flatex customer support gives relevant answers, but there is no live chat and the telephone support is available only in German. Flatex has great telephone support, but it is only in German. We could reach the support within a minute and the answers were helpful. The email support gives relevant answers as well. The speed is also great as we got answers within 1 day. The customer service is available from Monday to Friday 8:00 AM to 8:00 PM GMT+1 time zone. We missed the 24/7 availability. Flatex does a great job in education offering a lot of contents, but all of them is only in German. You can use demo account for Flatex trader 2.0, MetaTrader 4, and CFD trading platform, but cannot use the demo account for WebFiliale. Flatex is regulated by the top-tier German regulator, is listed on the Xetra exchange, and has a banking background. 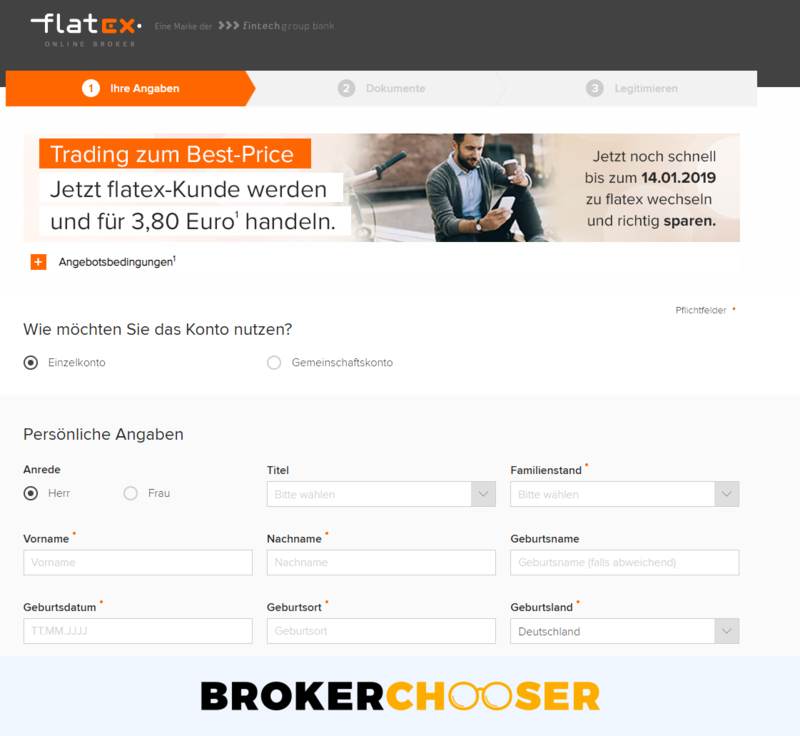 Flatex is the brand name of Fintech Group Bank AG. It is based in Germany and was established in 1999. Is Flatex safe? To be certain, it is best to check two things: how you are protected if something goes south and what the background of the broker is. Flatex serves its clients through one legal entity and all clients are eligible for the same investor protection. Flatex provides negative balance protection for the CFD account. Flatex is the brand of Fintech Group AG. 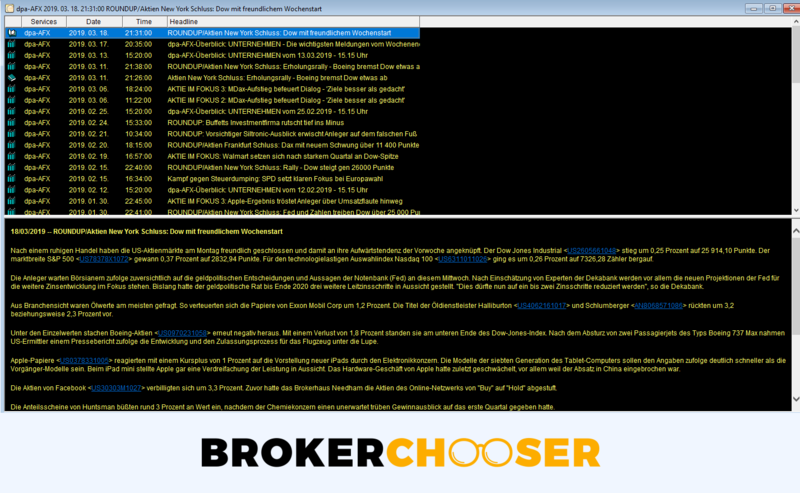 Fintech Group AG is listed on the Xetra exchange. This is a big plus for safety as Flatex releases financial statements regularly and transparently. The company was established in 1999. The longer the track record of a broker, the more proof we have it had already managed previous financial crises. Flatex also has a banking license, as such, it is facing tougher regulation than brokers. This is another advantage in terms of safety. Having a banking license, being listed on stock exchange, providing financial statements, and regulated by a top-tier regulator are all great signs for Flatex's safety. Flatex is a great broker if you speak German and you focus on long-term investing. It has cheap ETF and fund trading and its financial transparency is great thanks to its bank parent company and its stock exchange listing. You can also use many high-quality educational tools. On the other hand, the account opening for non-German citizens is very complicated and you can only use bank transfer for deposit and withdrawal. 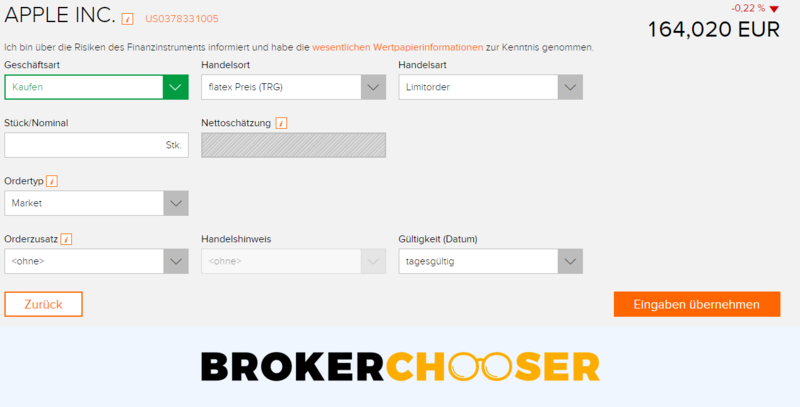 The account opening process, the web and mobile trading platforms and the telephone customer support are only in German. Feel free to try Flatex, since there is no minimum deposit and inactivity fee.